Add tiles to my order. 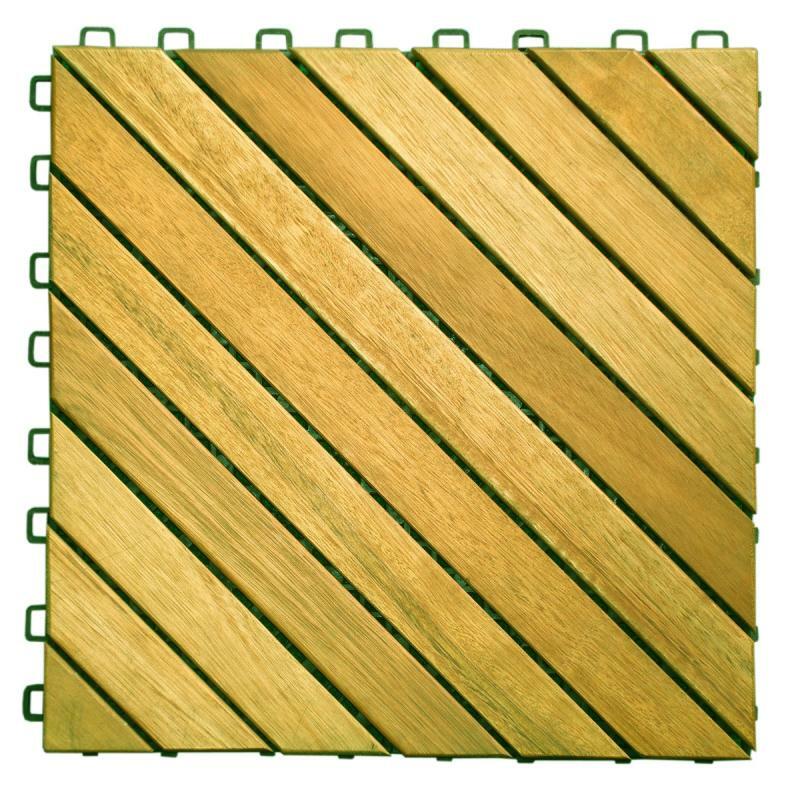 Design: These Vifah 12 Slat Deck hardwood tiles (V368) offer durability and a classic, natural look for your indoor or outdoor patio or other room. 10 per box. Plantation-grown teak has a rich golden color throughout its grain, and provides an elegant look for any outdoor wood products. It also has a lot of natural oils that make it water repellent, insect resistant, and suitable for use in exposed locations. The wood also has the unique qualities of not rotting or accumulating rust even when joined with metal. Quickly build any unique outdoor living space by simply snapping the deck tiles together without using nails, glue, or a hammer. Snapping deck tiles (sometimes referred to as interlocking deck tile) is a do-it-yourself product designed for the average homeowner. It quickly makes a solid hardwood floor on the patio, balcony, next to a pool or spa, or kitchen and bathroom areas in a couple of hours. No hassles of building a deck the conventional way. Most importantly, it is economically reusable - just simply snap and unsnap the deck tiles on one floor and re-snap them on another floor! You can build your floor within a matter of hours - not days - and enjoy it immediately. No glue, no screws, or hammers are needed!